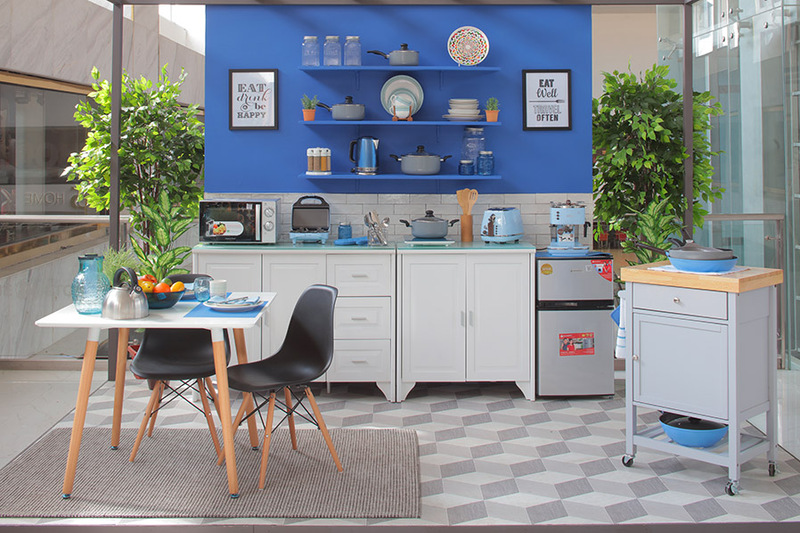 The Boysen Color Trend 2017 has many blues – all bold, buoyant and beautiful. 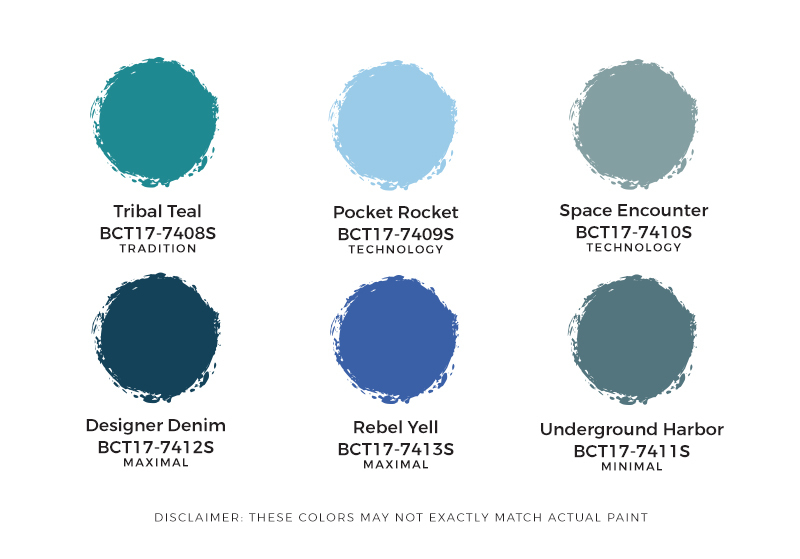 Rebel Yell belongs to the palette Maximal. It has the bright, intense blue of lapis lazuli. Rebel Yell was used to paint the kitchen vignette, giving energy to the space, which is very fitting for a place where food is prepared, food being the fuel required by all of us to keep living full lives. 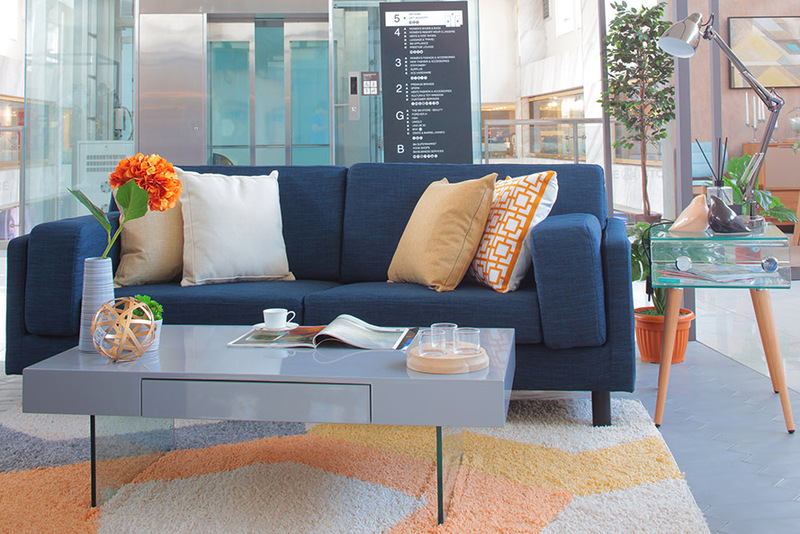 Used in the living room vignette, Designer Denim is even deeper in color than Rebel Yell. It is a bold color, dark in hue but not sombre. Paired with light warm greys and a muted orange, the living room becomes a place where you can relax and find your balance. Space Encounter, the lightest blue in the trio, has a tinge of grey. This color is used in two vignettes, the bedroom and the home office. In the bedroom, the feeling you get is one of buoyancy, a place of rest and feather-light dreams. Space Encounter in the home office is used together with other colors in the Technology palette – Shimmer Shake, Techy Romantic, and Crystal Sparkle. With all four as your wall colors, you’d expect some jarring notes. But in this case, you get a place that invites you to do your creative best in your work. 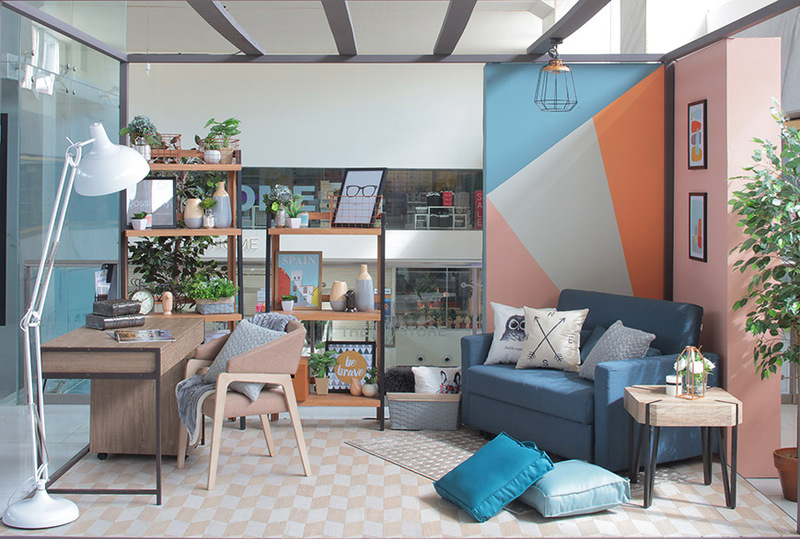 I’ll be writing more about the new look of Complete Your Home in the coming weeks, to show you that with a change of colors and different furnishings, you get a totally different look-and-feel to any space. 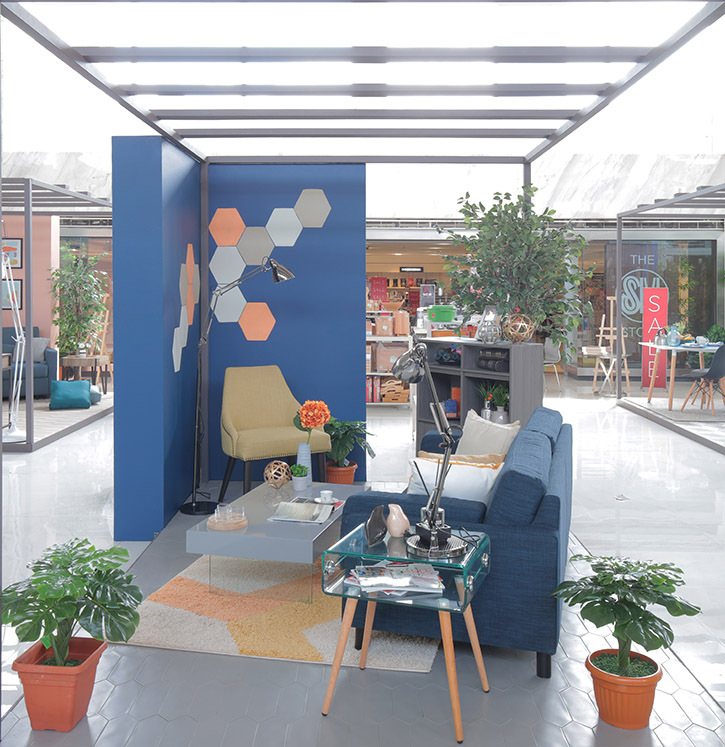 The vignettes are on show at SM Home in the bridgeway at the fifth floor of SM Makati until the end of August.